We took this reference in the Kruger National Park. 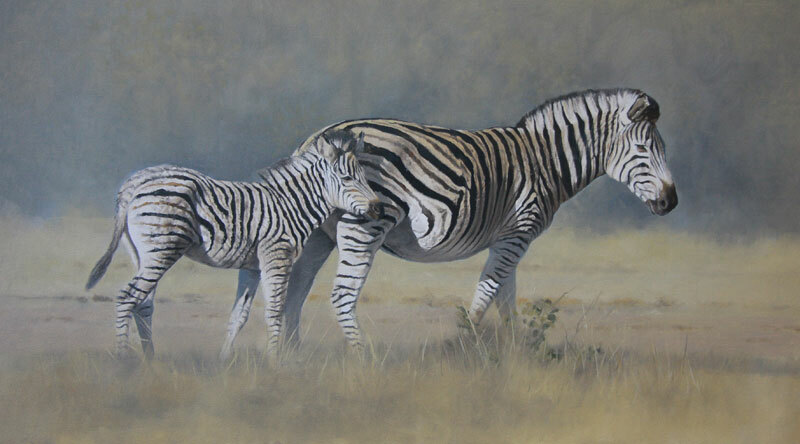 It was a time when there were a lot of little zebra foals around. This particular one was sticking to its mother very closely and so made a nice composition. It looked very shy and had a cuteness about it. Like humans, all these little animals grow up with their own personalities – some bold and extrovert – some shy and reclusive.